Sir Martin Sorrell believes Donald Trump's presidency is "good news" for the world economy, and has criticized Barack Obama for being "diffident" toward the business community. The WPP founder and chief executive said Trump’s engagement of business in the first month of his presidency is a sign that he will be an economic success in the short- to medium-term. Speaking at Mobile World Congress in Barcelona, Sorrell said: "This administration is a dramatic difference to the previous administration. "What is dramatically clear is that whereas the Obama administration was diffident or almost dismissive of the business community, this [Trump] is an administration that is clearly from a US perspective pro-growth, pro-business and heavily engaged. "Whatever you think of the president’s agenda over the last four weeks it has been peppered with engagement—with the manufacturing industry, the healthcare industry, retail—across the spectrum." The size of the US economy, which in GDP terms is $18tn (£14.6tn) of the $72tn global economy, means any economic growth will have a knock-on effect on the rest of the world, according to Sorrell. Sorrell said: "If the biggest engine is growing faster that is certainly good for America because America First is about America, but it is not necessarily bad news for the rest of the world. "It is probably on balance good news, and I would say on the short-to-medium term he will probably be successful. "He has to implement his policies on tax, regulation, on spending, all the things he has laid out, he has to implement them and get them through Congress, but the atmosphere is remarkably different from what we’ve seen in the last eight years under the Obama administration, for good or bad. "I think economically and for business in the short- to medium-term the US economy will become quite strong." Sorrell had predicted in 2009, after Obama became president, that his arrival in the White House would unleash a new wave of ethnic minority talent in the US and across the world. 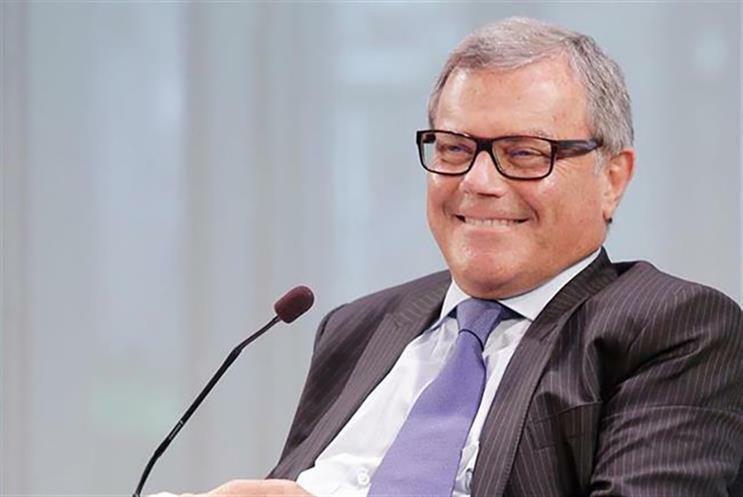 WPP’s results are due to come out on Friday and ahead of the update Sorrell revealed that 40 percent of WPP's revenues in 2016 last year were "what we might term ‘loosely digital.’"
He added: "I say loosely because the boundaries between analog and digital are blurring at a very rapid rate and it is very difficult to differentiate. You could say that at some point in time everything will be digital." Last year, Sorrell said that WPP had billings of $75 billion and the amount WPP is spending with Facebook and Google has increased rapidly. Sorrell added: "What the digital marketplace needs in our clients’ view and of ourselves and competitors is more balance—Google and Facebook are 75 percent of digital." He hopes Snapchat could be the third force in the digital sector, although it has some catching up to do. In 2016, WPP spent $5 billion with Google, up from $4 billion in 2015, and its second biggest investment was with the Murdoch family group of companies at $2.25 billion, although investment with them remained largely static. Facebook investment increased from about a $1 billion in 2015 to $1.7 billion last year. In contrast WPP's spend with Snapchat last year was $90 million. Next year, Sorrell predicts spend with Google and Facebook could increase to $6 billion and $2.5 billion, respectively.